And as far as a Cloverfield guac... not a bad idea. 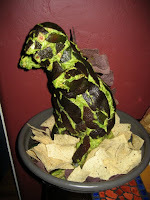 I will say this: my guac this year isn't based on Cloverfield, but it is hell-bent on destroying everything in its path. Also, like Cloverfield, it may make you nauseous.